It is fascinating to see the various designs of Angpow packets from the banks, companies, hypermarkets and other organisations who give out Angpow packets (empty ones of course) to their customers. They have different designs each year. My collection of angpow packets has becoming more and more each year too. 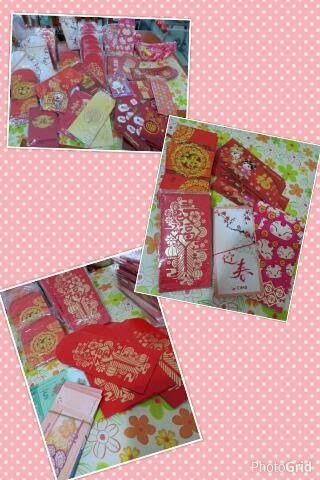 I have collected so many that I have difficulty in deciding which design to use to stuff the Angpows money. I do not collect ang pows but I do keep few interesting one in my drawer. So reluctant to throw them away.